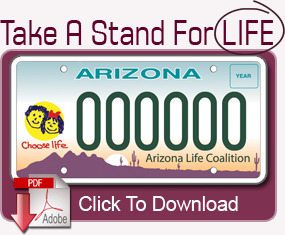 IC Arizona: Choose Life license plates are finally available! But in order to get one, you need to go to the Life Coalition website, print out the application, then take it down to the DMV. They are not currently available on the Service Arizona website.